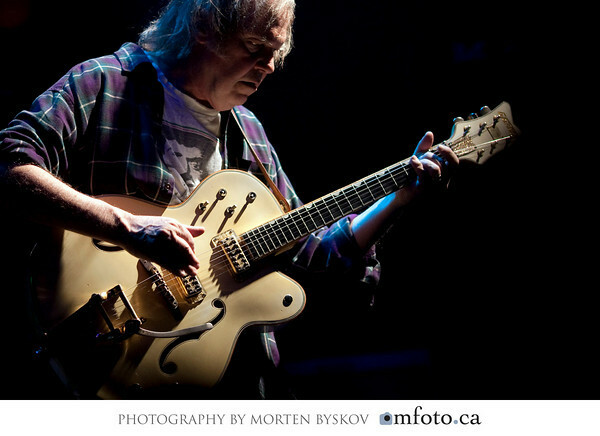 Here's a great photo gallery of Neil Young in concert last year in Kelowna, British Columbia, Canada (4/22/09) by Morten Byskov. Also, here are some Concert Reviews of Neil Young at Kelowna, British Columbia, Canada - 4/22/09. Also, here are some previous Neil Young Concert Reviews of the Moment. Funny... he's not wearin' it one arm in and off the shoulder at this stage. Awesome...seeing Pearl Jam tonight and Neil next weekend! i will be at the Worcester show. Wonder what the setlist will look like? i'm hoping for some gems. hey y'all - we're approaching the 1 yr anniversary of the Archives release. How many BluRay downloads have we had in that time? i think there have been about 10 or so BluRay downloads, someone has a master list somewhere. sorry, not impressed w BluRay stuff from the Archives.